We use each of the products listed below to organize, preserve and manage our own photo libraries or the photo libraries we manage for our clients. We highly recommend them to you. Click on either the product image or the website link to get more information. 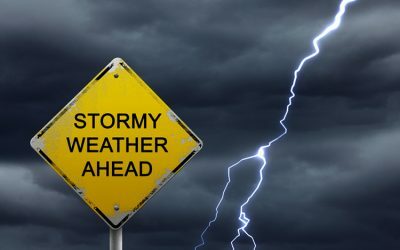 Some of these products have similar features, and we will be happy to discuss them with you and help you determine which ones best fit your unique and specific needs. 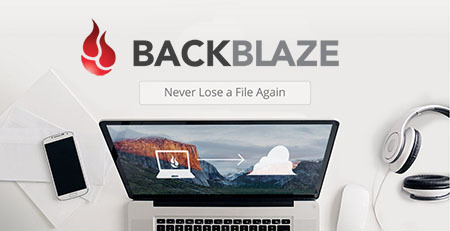 Backblase automatically backs up all your files – data, photos, music and even movies. Put your mind at ease knowing your photos are backed up securely in the cloud. You can back up unlimited data, unlimited file size, unlimited bandwidth and you can even back up your external drives. You get peace of mind for only $5/month or $60/year. FOREVER isn’t like other photo storage services. We’re focused on providing you with a permanent digital home that will last for generations. It’s like insurance for your photos.™ Buy once and own it for generations. No hidden fees and no recurring costs. Even if you purchase a payment plan, you own it in just one year. 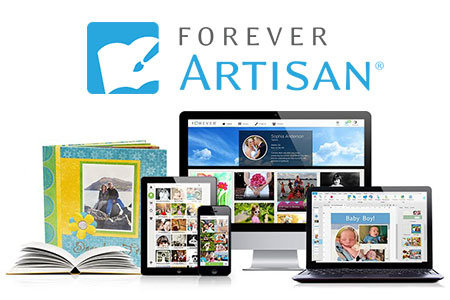 FOREVER Artisan® is a Digital scrapbooking software that helps you design beautiful photo books and more. Great for beginners & experts. Beginners love how easy it is to get started with FOREVER Artisan scrapbooking software. Experienced users enjoy the ability to refine every element of their photo projects using Artisan’s powerful array of photo-editing tools, brushes, overlays, filters, stamps and more. 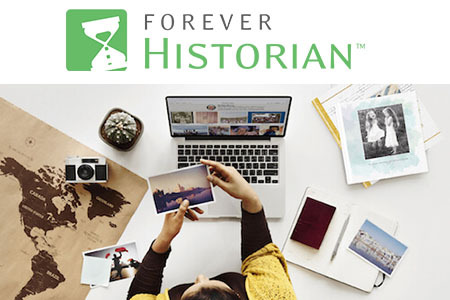 FOREVER Historian™ software helps you organize, preserve, edit, and share your treasured digital photos and the stories that make them so precious. 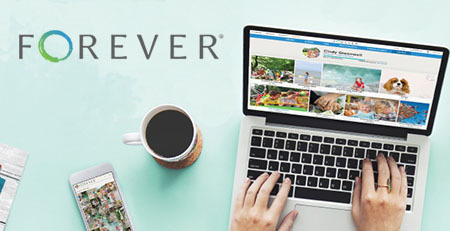 Use the power of your computer to share, organize, edit and preserve your treasured digital photos, video clips and audio files. Put them all in Historian, and we’ll make it easy for you to find them and keep them safe. 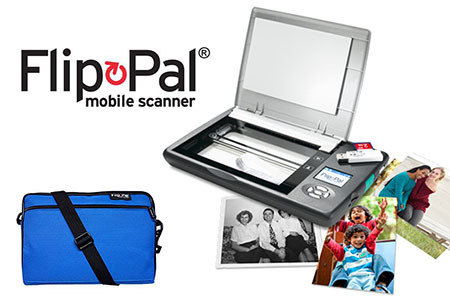 The Flip-Pal mobiles scanner is the world’s original scanner for photos, large and fragile documents, and cherished memorabilia that does not require a computer to operate. Battery powered and stores files on an SD card. 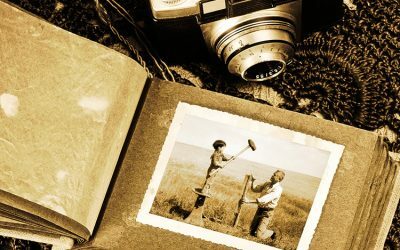 Effortlessly collect precious photos, important documents, fragile records of personal and family history, detailed coins, jewelry, medals, hand-drawn art, and other keepsakes. Now they can be safely stored digitally rather than scattered, lost or unable to be found. Then create your story and connect with family and friends. Photos can be like puzzle pieces, scattered across different devices, and places like Facebook. 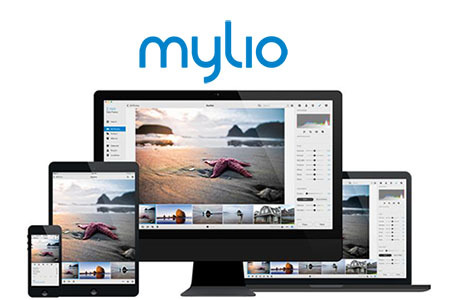 Mylio is photo organizing software to put the pieces back together again to make a whole picture, then makes that picture available on all your devices. Now you can find the one you want in seconds. 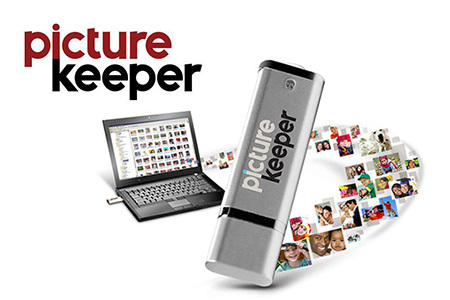 Backup your pictures without the hassle, with Picture Keeper! Mobile, tablet & desktop solutions. Welcome to simplicity. This isn’t the cloud, it isn’t a hard drive, it isn’t just a flash drive. Picture Keeper is a solution. We embed our software onto our custom flash drives and make them available in multiple capacities. Picture Keeper gets you started protecting your photo files quickly. We offer a wide variety of drive sizes to fit whatever your photo needs may be. 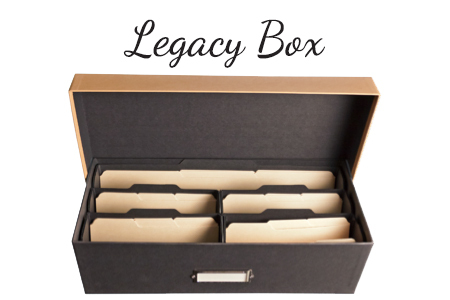 The Legacy Box is the Organizers’ choice for archive storage of printed photos and memorabilia. The sort box comes in two sizes and holds up to 1200 photos for the small box, and up to 2400 photos for the large. The large comes with a memorabilia pocket that fits snugly inside the lid allowing you to store large photos and documents with your printed photo collection. The Legacy Box collection is exclusive product line and only available through a photo organizer. *In-Focus Photo Solutions is a sales affiliate for some of these companies. Offering the tools to help you tell your life story! Sign up to receive our latest news, upcoming events, specials and tips. In-Focus Photo Solutions and Photography Copyright © 2019. All Rights Reserved.